Oh, happy day! Thanks for being back with us for another Halo Community Update – emphasis on the “back,” as we lead things off today with awesome news: Halo 3, Halo 3: ODST, Halo 4, and Halo: Combat Evolved Anniversary are all now backward compatible for the Xbox One. That means that including Halo: Reach, all Xbox 360-era Halo titles are now available to play via backward compatibility on your Xbox One. And if that weren’t already cool enough for today’s weekly(ish) catch-up, we’ve got a background tease on Awakening the Nightmare’s second Banished Leader, Pavium. Plus, we take a quick look back at HCS London, a quick look ahead at HCS Pro League play, more awesome Halo community creations, and more. Ready? Let’s go. As we said before, beginning today, Halo 3, Halo 3: ODST, Halo 4, and Halo: Combat Evolved Anniversary will all be available via backward-compatibility on your Xbox One, Xbox One S, and (soon) Xbox One X. A huge Mjolnir-mitted high-five to the stalwart folks on the Xbox Back-compat team for partnering with us on this and helping give Halo fans even more options to experience some of their favorite franchise moments. And don't forget, all 360-era Halo DLC content like map packs are now free on the Xbox Store, so make sure you grab 'em all to get the full experience! Also, note that Halo: Combat Evolved Anniversary isn't available just yet as a digital download, but will be soon, and is still backward compatible via disc. Now, we know you’ve obviously got some questions, so let’s walk through a few of them, shall we? Q: How do I use Xbox One Backward Compatibility? A: The digital titles that you own and are part of the Back Compat game catalog will automatically show up in the “Ready to Install” section on your Xbox One. For disc-based games that are a part of the Back Compat game catalog, insert the disc and the console will begin downloading the game to your hard drive. After the game has downloaded to your hard drive, users will still need to keep the game disc in the drive to play. Q: Can I use the Halo 3: Mythic disc (that came with Halo 3: ODST) to play Halo 3 multiplayer? A: Yes! In fact, the Halo 3: Mythic disc was what we used to demo Halo 3 back-compat earlier this Summer at RTX. Q: Does backward compatibility cost extra? A: Xbox One Backward Compatibility is free and allows you to play select Xbox 360 and Original Xbox games you already own on Xbox One. Q: Is Xbox Live Gold required for backward compatibility? A: Xbox Live Gold is not required for Xbox One Backward Compatibility. However, it is required for any standard Xbox Live Gold feature like online multiplayer. Q: Do the back-compat Halo games support Kinect-specific features? A: Kinect-specific features are exclusive to play on Xbox 360 consoles, but backward compatible Halo titles can take advantage of Xbox One specific features such as the Game DVR. A: Earlier this Summer, all Xbox 360-era Halo DLC was made free to download on the Xbox Store. Q: Can I do multiplayer gaming with friends who are playing the game on Xbox 360 or Xbox One? A: Yes. 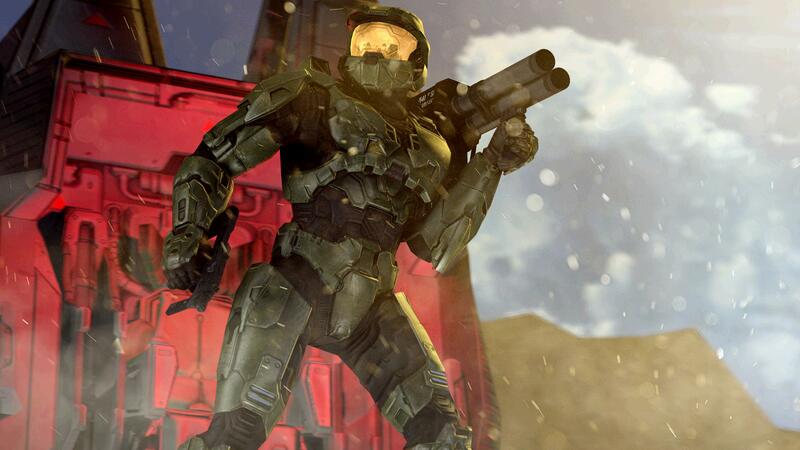 For games that offer multiplayer gaming, you'll be able to play with others who own the title on Xbox 360. Q: Will my Achievements from Xbox 360 be available to me on Xbox One? A: Yes, your achievements do carry over from Xbox 360 through Xbox Live. These are accessible when you sign in to your Xbox profile on your Xbox One console. For more answers to frequently asked questions regarding Xbox backward compatibility, visit Xbox.com. Last week, we took a quick look at the background lore behind Voridus, one of the two new Banished Leaders coming with the Awakening the Nightmare expansion for Halo Wars 2 next week. This time around, we’re taking a peek at his brother Pavium, who is about to have even more to worry about than snickerdoodle trying to steal his amazing hat. 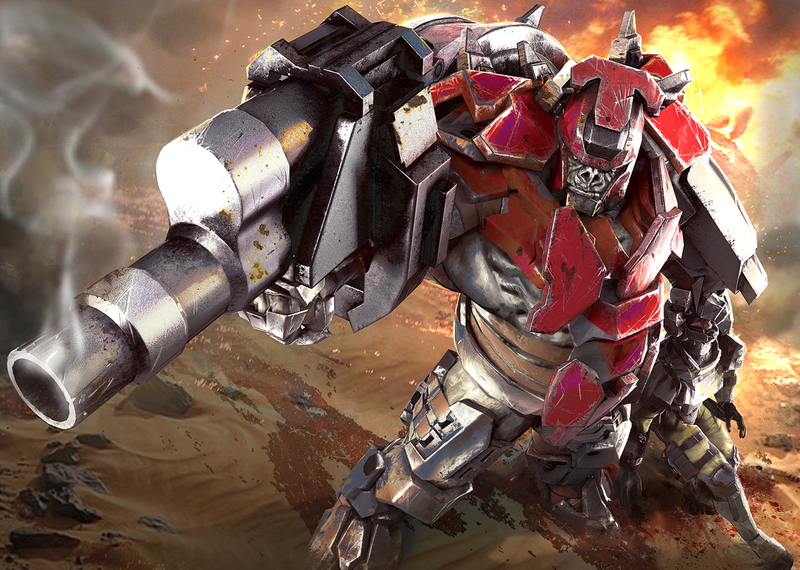 Warlord Pavium is an architect and siegemaster, making and unmaking fortifications at Atriox’s command. Given the epithet “The Unbreakable” for his implacable discipline and prowess in combat engineering, Pavium’s skill is unimpeachable, but conflicting ties of loyalty to his clan and brother has slowed advancement in the Banished. Eager to prove his worth, Pavium has redoubled the efforts of his pack since their setback on the Halo ring. His efforts have not gone without notice, and Atriox has tasked Pavium and his brother with a mission to judge their worthiness as members of the warmaster’s inner circle. Pavium is a traditional Jiralhanae combat engineer, taking to the field of battle as an engine of destruction, smashing enemy lines as part of the pack’s vanguard. His panoply of war always includes his custom warplate and a relic tower shield gifted to him by Decimus. 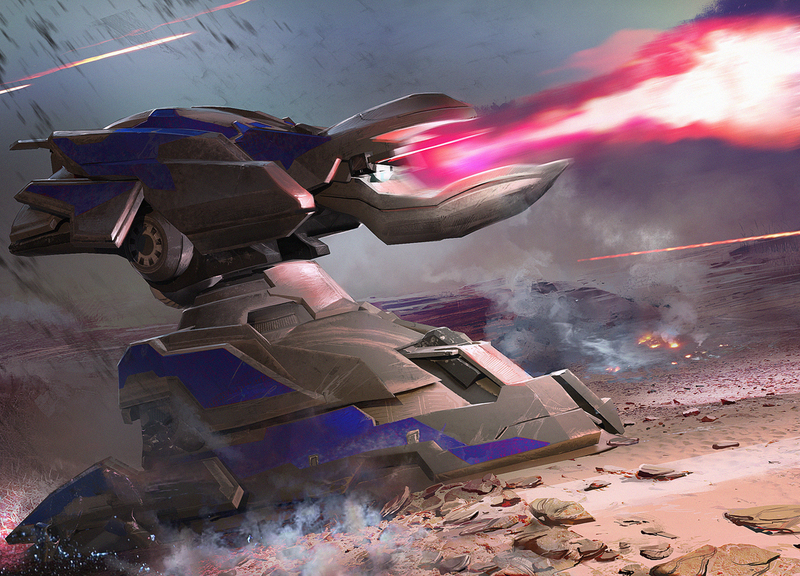 On the battlefield, Pavium is a walking tank armed with a Heavy Mortar System for direct bombardment and a Target Designator for calling out high-value targets for combined fire. In the Covenant, ecclesiastical authorities ultimately oversaw even the most trivial modifications to existing designs. Improvements or alterations required layers of bureaucracy to navigate, and often took decades to gain approval from the Prophets. The Banished approval process is much simpler: if there is a demonstrated need and materials available a pack leader can make any changes that he or she wishes. 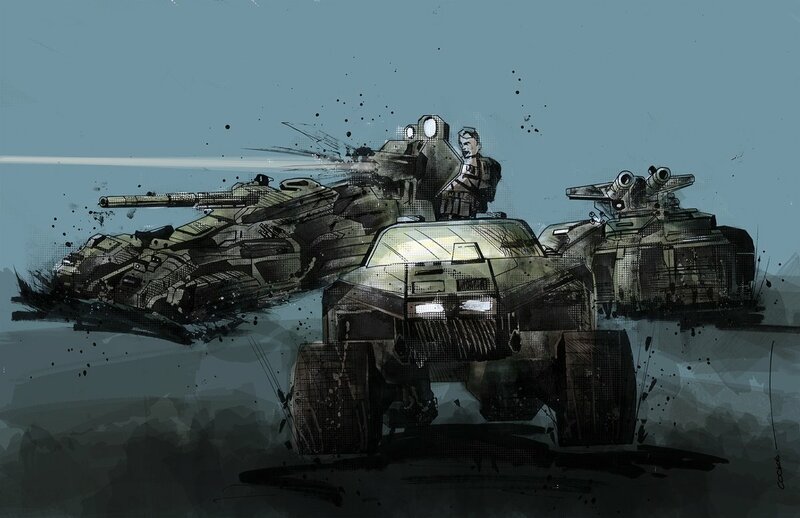 The Wraith Invader is an example of this freedom, with Pavium taking damaged mortar tank hulls and repurposing them into heavy troop carriers. The Mega Turret was used to protect Covenant military and religious installations, but these massive cannons have also been encountered at remote colonies and outposts guarding nothing of obvious value and reflexively attacking all who approach without long-forgotten authorization codes. 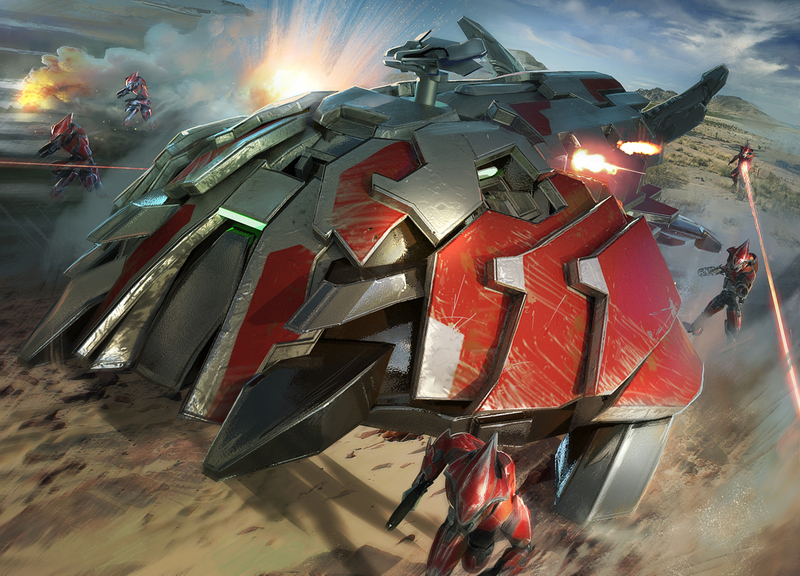 The Banished deploy the Mega Turret as a straightforward anti-siege weapon at war camps on the Ark which have the necessary infrastructure and permanence to support their use. Yesterday afternoon, ske7ch and yours truly reunited on the streaming stage to show off some sweet new Halo Wars 2 content included in a free game update that will coincide with the Awakening the Nightmare expansion next week. 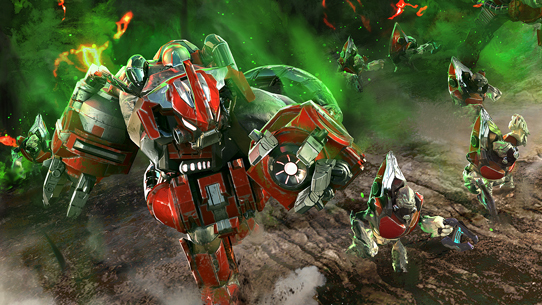 Not only did we check out both new maps coming to the RTS experience, but we also showed off the brand new Spectator Mode, which is sure to be an awesome addition for Halo Wars 2 players and fans. The stream featured a serious 2v2 grudge match between four 343 staff on the HW2 development team, who paired off to form perhaps Halo Wars 2's first true team rivalry in Brute Force vs The Spartan Strikers. The final match was truly a sight to behold, and something that will be discussed internally for at least the next few weeks. If you missed it initially, you can check it out for the next couple weeks on VOD at mixer.com/Halo. I mean, how else are you going to understand the gravity of the #PrayForCorey movement? Trust me, you'll have to give it a watch. Also, next week on Tuesday, Sept 26, that afternoon we'll hold an epic rubber match between the two internal RTS titan squads to break the current 1-1 tie, so make sure you join us on mixer.com/Halo for all the fun! Also, no one in the office believed me that "rubber match" was a real actual long-used sports term and not something ESRB-threatening. Uncultured swine. Hot off the heels of a fantastic European clash, let’s catch up with the latest Halo esports news. HCS London has come to a close after a fierce struggle among the top European Halo players and teams. In the end, Team Infused's lineup of Kimbo, Respectful, Mose, Jimbo, & coach Havoc took the crown – and took home $10,000 – and will lead the EU charge into the HCS Fall 2017 Finals in Denver. For the full story, make sure you check out our HCS London 2017 recap blog. Additionally, Supremacy's own SLG took home the top spot in a frantic FFA Final, taking down fellow pro and open players alike on his way to victory. With HCS London in the books, we look back to North American action, where the NA HCS Pro League teams got back underway yesterday. With only two matches left to go, time is running thin for teams to put themselves in the best positions possible heading into the Fall 2017 Finals at DreamHack Denver this October. And speaking of DreamHack Denver, later today our HCS Summer 2017 Finals Event Hub should be going live later today with initial info on travel, tickets, and more. Stay tuned! Master Builders – Our friends and flatmates on the Minecraft team recently unleashed their new “Better Together” update, allowing for some really awesome cross-platform collaboration for eager builders everywhere. How does this fit here? 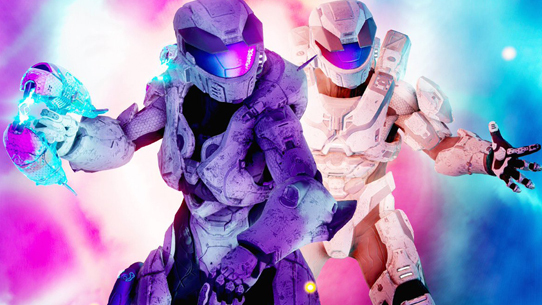 Well, the new update also means that a bunch of cool marketplace items will be available on several different platforms (including the Nintendo Switch) – items like the Halo Mash Up pack, which features maps, music, character skins and more from your favorite franchise. Looney Tunes – The H5 Weapon Tuning experiment is still going on, so make sure you hope in, play some matches, and tell us what you think about the potential changes in our official feedback thread! Starting New Fights – Next week, the H3 Classic Throwback playlist goes live to celebrate Halo 3’s tenth birthday! We’ll have a full breakdown of the maps and settings when the time comes, so stay tuned. Enhance Your Grind – This weekend’s double-XP offering for Halo 5 includes the Halo 5 Weapon Tuning Test, Warzone Assault, and Big Team Battle. Get your earn on! Community Playdat3 – On Sept 25 at 3(ish) PM PT, we'll be hosting a 343 Community Playdate in the H3 Classic Throwback playlist! This time however, you'll have to contend with legenday Halo pros Bravo, Dersky, Neighbor, and StrongSide. So uh... yeah. Better bring your A game. Bold and italicized if at all possible. Just Another Str3aming Monday – Before the above playdate, we'll be spending some time on stream having fun and reminiscing on Halo 3's tenth birthday. Hope you'll join us! Teaming up for Beyond – Next week, catch the premiere of Millennial Esports' first Beyond the Sticks episode, which follows Team EnVyUs and Naventic as they participate in a Halo bootcamp. The episode will debut on Sept. 27, 5pm PT, on Mixer's ChannelOne! Joining us to help premiere the show, we've got Greenskull streaming beforehand and Covent jumping on after to help provide a nice close to the event. We hope you tune in and give it a watch! This week in our Community Spotlight, we scope some pretty cool creations we’ve come across in recent days. Check ‘em out! We saw the awesome pieces of art below come across the chatternet and wanted to make sure others had a chance to enjoy them as well. So… enjoy! Love this awesome piece by @_samuelcooke. Has a very “Tip of the Spear” feel. 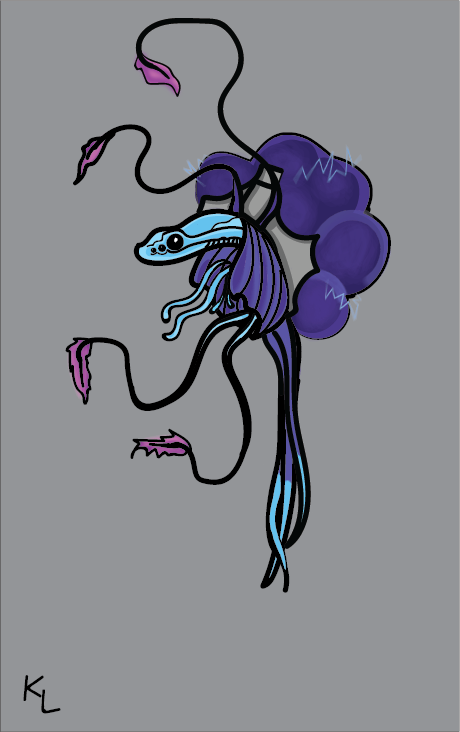 This ridiculously adorable rendition of a Huragok made by @scifi_fan_kat, will – and should – make you feel terrible about earning the Naughty Naughty achievement in Halo 3: ODST. I mean c'mon... HOW COULD YOU?! 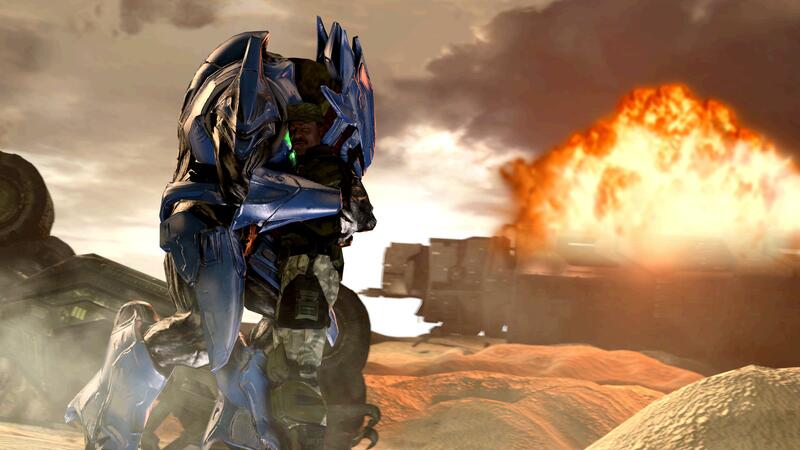 Archangel470 shared this awesome Halo 3/Halo: CE mashup render. It's beautiful. Once more with feeling, Archangel470. EckhartsLadder created a cool video describing his thoughts on the 5 biggest space battles in Halo lore. With Awakening the Nightmare on the horizon, Halo lore liaison and Flood fanatic Hidden Xperia put together a video discussing some of the ins and outs of how the ancient and iconic adversary might have survived the events of Halo 3. The always-awesome folks at Halo Breakdown are back with a really slick collection of top plays from HCS London. Give it a look! Ascend Hyperion featured Incarnate, a jaw-dropping remake of Halo 3's Epitaph by forger Portaleer. So. Rad. 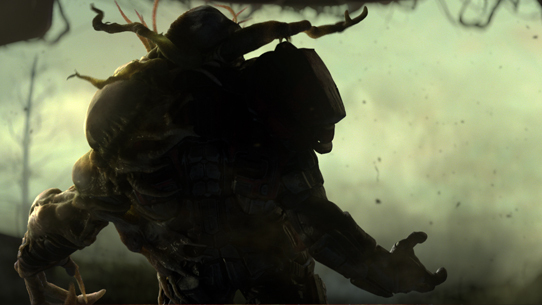 Community member and mandible-monikered Lor ‘Tarkam wrote up an in-depth character analysis on one of his (and mine) favorite characters in the Halo universe – Rtas ‘Vadum, aka “Half-Jaw.” It’s a really cool write up that spans Rtas’ legacy in the lore, and you can give it a read right HERE. And with that, we draw this edition to a convenient close. Hope you all get a chance to play a bit of 360-era Halo goodness on some new tech this weekend, and we’re looking forward to dropping some Flood-fighting RTS action in less than a week! See you all then. Until next time… Live well, play Halo, and hey, it’s technically still Summer! Weird. PS – Also, it’s not specifically Halo, but our good friends and next-door neighbors at Turn 10 dropped the demo and launch trailer for Forza Motorsport 7 this week, a title that many of us gearheads at 343 are super stoked to play. Check it out, and congrats T10!